Restore cms pages and static blocks. This section descript installation process. There are two types of installation – install theme on existing site or install preview package that contain sample data like our demo. Backup store files and the store database. Disable CSS / JS merge in System > Tools > Delevoper. Disable compilation mode in System > Tools > Compilation. Log out from admin panel. This step is required to reset magento access control cache. 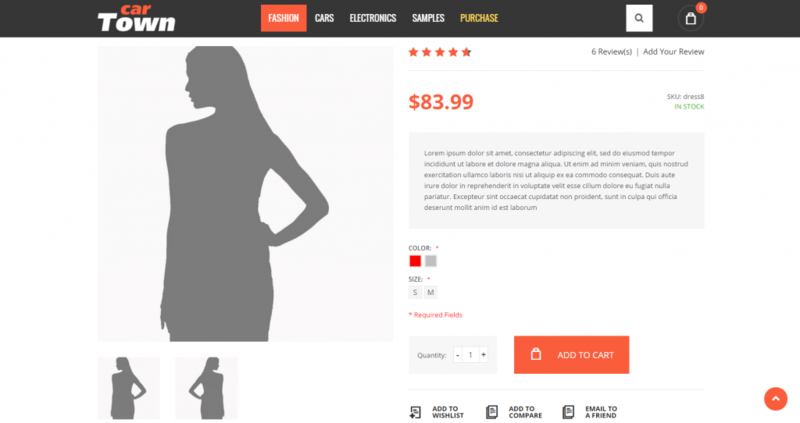 Preview installation is for people who want to create magento installation like our demo store. It contain complete magento source and will overwrite your original files. Upload content of package/Theme to your magento root directory. Set correct file permissions for all the theme files which you uploaded to your server. No “NWDthemes” item in main menu. check that all files were uploaded. check that all files have correct permissions. check that Magento cache is disabled – Cache Management. This section discusses how to start building a custom theme. 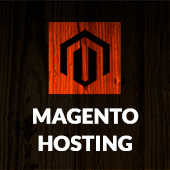 A good practice during development on Magento is to disable Magento’s cache. Although doing this adversely impacts performance, it frees you from having to manually clear the cache when you make changes to files or configuration settings that are being cached. Check Magento Configuration > Cache Management. You should always enable the cache in a production environment. 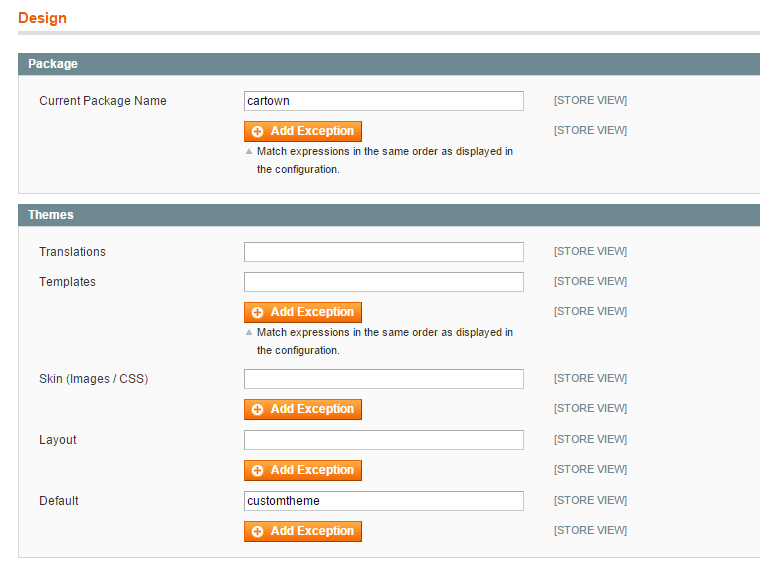 The correct way to customize the theme in Magento is to create your own sub-theme. You should never edit original design package files. Files that need to be changed can be copied to your custom sub-theme. Lets discuss how to create new top-level directories for your theme and to copy files to those directories. 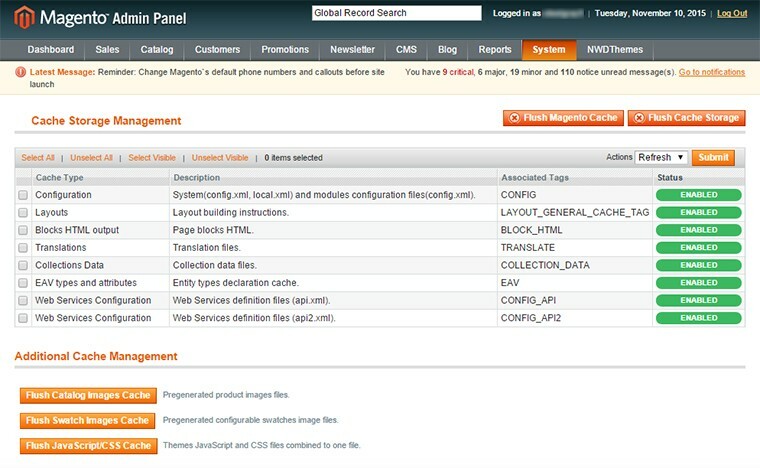 Log in to the Magento Admin Panel as an administrator. Click System > Configuration > GENERAL > Design. In the right pane, click Package to expand it. In the right pane, expand Themes. In the Default field, enter customtheme. In the top right corner of the page, click Save Config. If prompted, flush the cache. Check Magento Configuration > Cache Management. In the right pane, click Header to expand it. In the Logo Image Alt field enter alternative text. Translate file is located in app/design/frontend/cartown/default/locale/en_US/translate.csv. Use it to translate custom strings into other languages. If you have several stores, you will see store switcher in the header. It shows store flag and store name. Flag images specification: PNG, 16×12 px. Flag images location: skin/frontend/cartown/default/images/flags. You should upload new flags into this folder. Flag image name should be the same as store name. This section discusses Cartown theme settings. We have added a lot of optionsto suit all possible needs. All changes done thru admin panel. There is no need to dig the source code. Additional Products Block – enable / disable additional products block on home page. Bestsellers / Most view product block – enable / disable Bestsellers / Most view product block on home page. Columns – number of columns in grid mode. Max. number of columns for 3 columns layout is 4. Image Width – Image width on product listing. Default width is 270 pixels. Default width is 570 pixels. Min width is 262 px. Max width is 700 px. Navigation – Display “next” and “prev” buttons. This section discusses Cartown theme Appearance. We have added a lot of options to suit all possible needs. All changes done thru admin panel. There is no need to dig the source code. Product Price – price font, color etc. Turn off WYSIWYG editor. WYSIWYG editor can break the content of CMS page / block. This section discusses Cartown theme static blocks & cms pages. We have added a lot of pages and static blocks to suit all possible needs. All changes done thru admin panel. There is no need to dig the source code. You can also enable / disable static blocks to hide unneeded information. If you accidentally modify or delete block / page and want to restore original data – you can use Restore cms pages and static blocks functionality. Check data section for detailed instructions. Cartown Theme comes with MegaMenu extension – WunderMenu. It allow you to modify store navigation according to your needs. WunderMenu gives you ability to control dropdown style for each top level category. 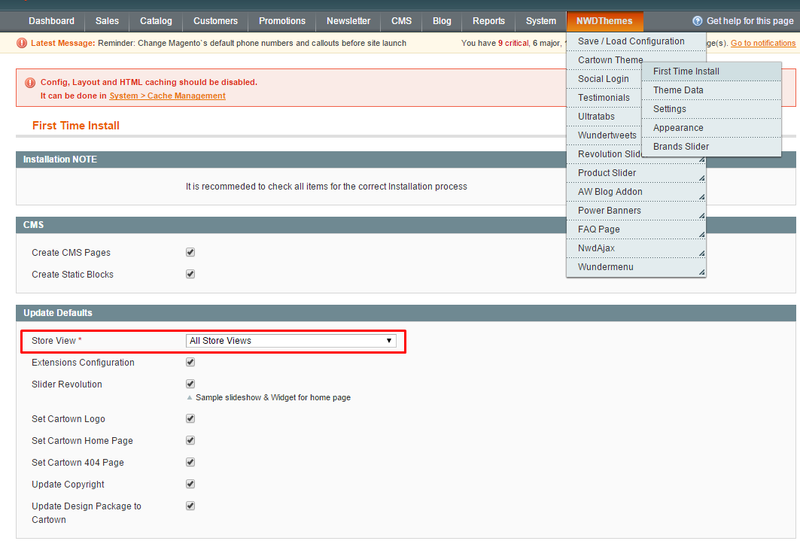 Log in to Magento administrator control panel. On the left side is a list of categories. Select the category you wish to edit. WunderMenu gives you ability to add your own items to navigation. 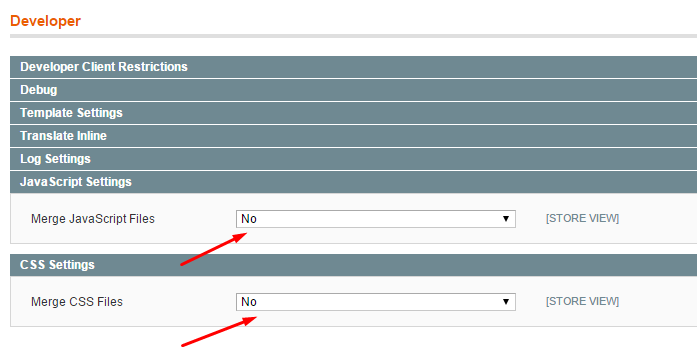 To add it you need to fill Custom items Identifier option in NWDthemes > Wundermenu > Configuration. This option define Static block indentifier that will be used for custom items html ( will be appended to the end of existing menu). Brand slider gives you ability to show all store brands or only brands that has products. Brand images located in media/wysiwyg/cartown/brands/. To configure Brands slider go to NWDthemes > Cartown Theme > Brands Slider. Enable Retina Images – Enable / Disable Retina Images for brands. Retina image should be located in the same folder with _x2 ending. We have added support for aHeadWorks Blog Extension. Check this tutorial for detailed steps on How to Install Magento Connect Extensions. This section gives you ability to connect an image to blog post. This section gives you ability to connect an image to blog author. Cartown Theme comes with a lot of NWDthemes Extensions. When making certain changes to Magento, such as modifying code files, it is necessary to clear the cache in order for the changes to become visible. Delete the folder var/cache/ through your FTP client or using the cPanel File Manager. Go To System > Index Management. On the left side is a list of categories that can be reindexed. Select the categories to reindex. If you want to run a reindex for all of the products, click “Select All”. From the Actions drop-down menu, select Reindex Data and then click Submit. Depending on how many categories, and the amount of information that needs to be reindexed, this could take a few minutes, or hours. Magento 1.9.1 comes with built-in support of Color Swatches. Swatches provide an alternate way to display the selection of options for configurable products. Rather than choosing an option from a drop-down list, customers can make their selection by clicking a swatch. Configurable swatches can be used on the product page, product list, and in layered navigation. Go To System > Configuration > Content Management. Set Enable WYSIWYG Editor = “Disabled Completely”. Click on Save Config (button located in top right corner) . We provide premium support for all our customers. We do not support 3rd-party extensions. Our theme isn’t compatible with all third-party extensions by default. Some extensions require customization to make it work properly with the theme. It’s impossible for theme author to make the theme compatible with all existing extensions. 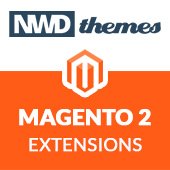 Only default Magento theme is compatible with all third-party extensions, because all extensions are designed to work with default Magento theme. Support hours: 10AM – 6PM GMT+1 time, Monday – Friday. The support response time is 24-48 hours. Support for Magento: configuration, installation, maintenance etc.